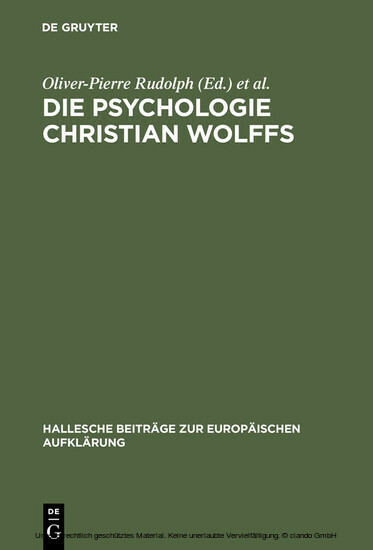 Psychology is central to the work of Christian Wolff (1679-1754). Together with natural law, ethics, politics, and economics, it forms the basis of logic and of practical philosophy. The present volume inquires into the complex problems involved in Wolff's concept of a rational and empirical form of psychology on the one hand, and its fundamental function within Wolff's system of philosophy on the other. In addition, it situates the psychology of Wolff in the history of science between Scholasticism and Kant's critical philosophy.